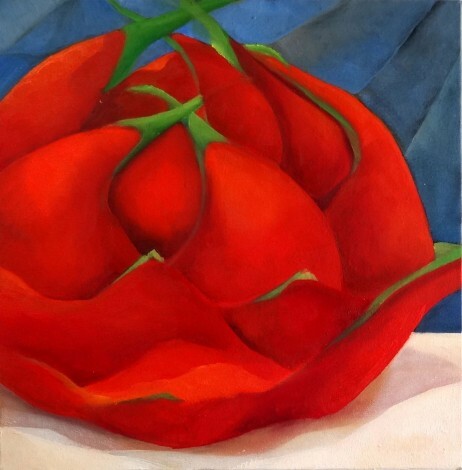 Born in Cali, Colombia, Mary Cielo studied at the Academia de Dibujo Profesional in Cali. She also attended workshops with national and international artists. 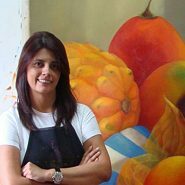 Her work has been exhibited in Paris, Monaco, Miami, New York, Spain, Guatemala and Colombia. In 2012 she won the Premio de Honor when her work was included in the ‘Femmes Du Monde’ exhibition at the Galeria La Jonquiere in Paris. Her specialities include brilliantly-coloured close-up details of flowers, fruits and mulatto women.